How to design Ticket widget? Please see Section 3, Housing Reservation. The first "Thursday, June 1" was from ticket template. How can I change the font and font size, so they are consistent with the rest of the form? Can I use check boxs on this ticket wedget template like the rest of the form? 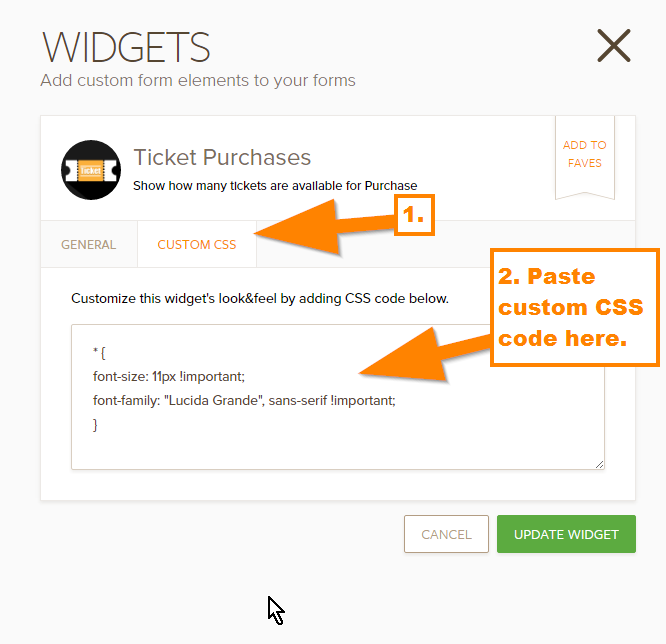 You can add custom CSS code in your widget settings to design it's contents. 1. First, select the widget and click the wizard or wand icon. The asterisk in the CSS code means apply this design to the whole widget. You can also change the CSS code, like the font-size value or the font-family used. 1. First, open your Form Designer Tool. 2. 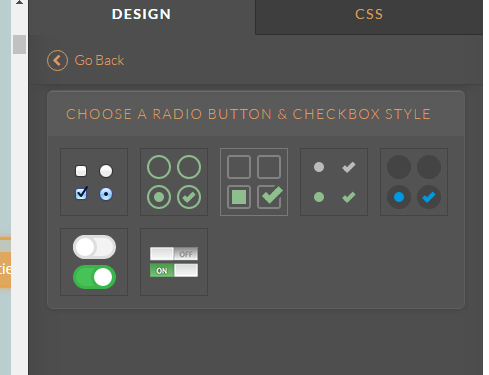 In the Form Designer Tool, select the check box or radio button field. You'll see that the styling for them will show up at the right side. 3. After clicking the template, you should be able to see the list of preset styles that you can use. We also have some themes that you can easily apply on your forms, you can find them in our Themes Store. Or you can learn more about custom CSS code so that you can design basic to advance styling on your forms.